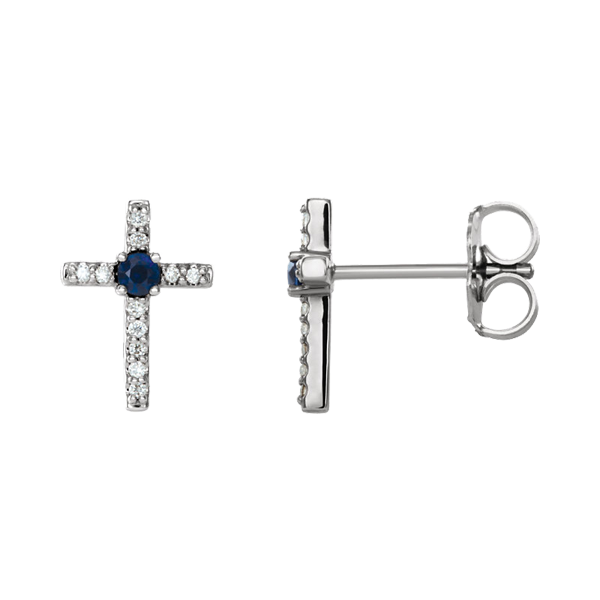 Platinum Gemstone and Diamond cross earrings. This adorable design is available with a large variety of genuine center gemstones. 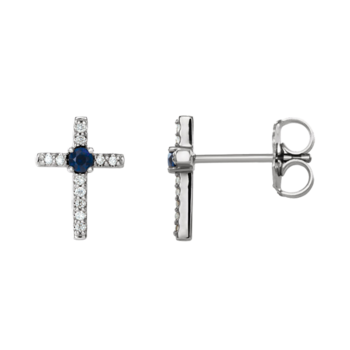 Price shown is set with Blue Sapphires, 2mm round each.